A classic coated packer is invaluable to serious backcountry packing work. Classics have a coat similar to a Labrador Retriever. When you rake it, the majority of the undercoat releases and leaves behind a nice shiny guard fiber with minimal undercoat. This coat is functional in the sense that it keeps the bugs from bothering the llamas skin and it protects them in the backcountry from heat, rain and cold. Along with having a classic coat, a packer should have strong structure and gaits for endurance on the trails. A quiet working mind is a must! 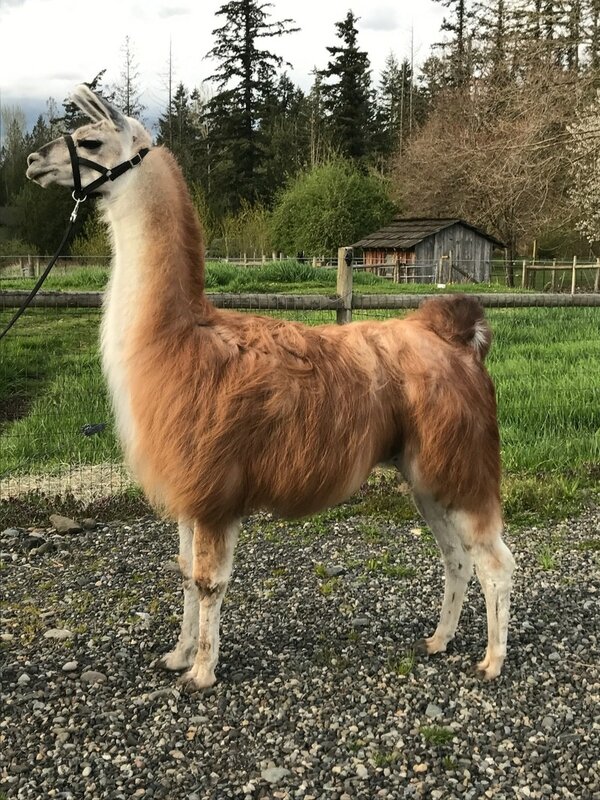 Over the years we have through careful selection ended up with some amazing classic llama herdsires. 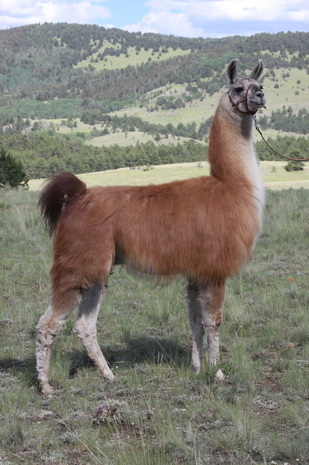 We have always put genotype first in our selection of llamas for our breeding program. Serious breeders know you can get the phenotype you want when you know the genetics of your lines! We do NOT just throw a bunch of llamas together hoping for a champion, therapy llama, driver or packer! Our males are from solid milking and birthing lines. They have firm foundations with good legs, toplines, bites, pasterns and strong genetics. 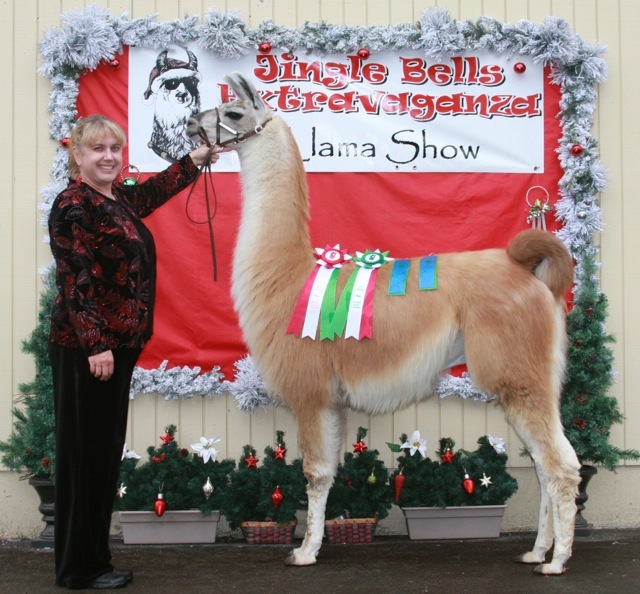 We have extensively researched llama bloodlines to avoid many of the common genetic issues that are out there. Many of our animals are not from today's common overused pack bloodlines that are riddled with breakdown and genetic problems. When you are waiting for a packer to turn 4 to carry weight.....then you train them for a year or two to work on the trail and finally have a finished product.....the last thing you want is a crippled/broken down pack llama! Our males have strong foundations that are proven in the showring and are from from some of the oldest reliable packing lines available. Some of them are ALSA and/or ILR Halter Champions and several are PLTA certified packers. Several are even registered therapy llamas with Pet Partners too! 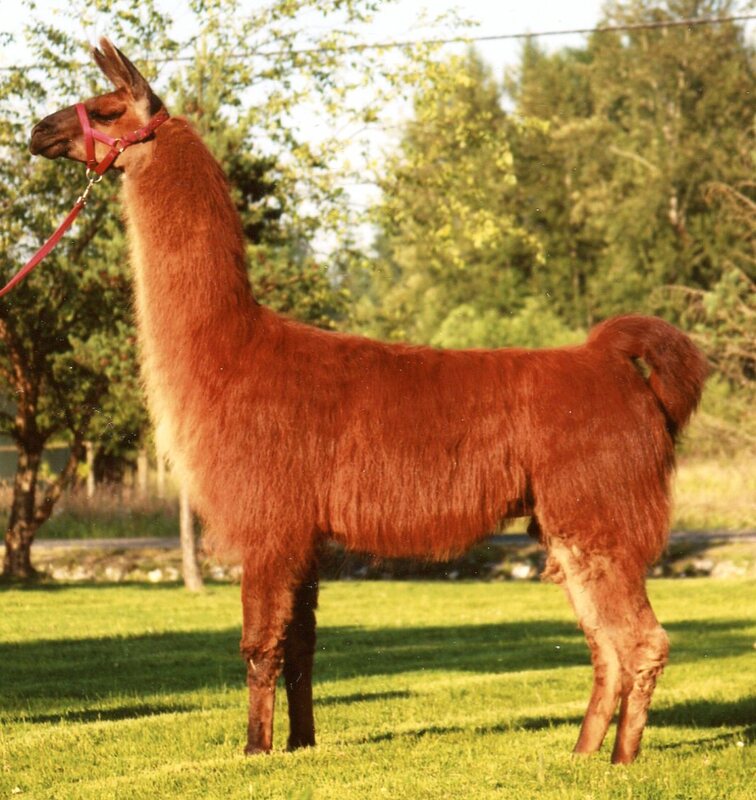 We breed for a classic coated llama with solid conformation, reliable genetics, intelligence and longevity. Within our breeding program we avoid linebreeding and woolly lines. Some of our classics have a woolly ancestor, but from our research and pairings we have not had any offspring that weren't classic. 100% classic production in our program to date! We prefer some of the older pack lines as they haven't been ruined with aesthetic focuses like being huge. By focusing on the traits we like and know work, we are able to get the exact results we breed for with limited pairings. Our results speak for themselves in and out of the showring and on the trail! As a bonus, two of our classic males are therapy llamas too! To see offspring, check our JNK Future Winners Born/Babies link and our Ads Link. At this time, our males are not available for outside services.